Forward-looking: While the supporting technology might be in its infancy, more smartphone manufacturers are developing 5G handsets. Apple, however, is late to the party. Its 5G iPhones aren’t due to arrive until next year, but the firm's turbulent relationship with Intel could see those plans delayed. A report from Fast Company claims that Intel, the sole provider of modem chips for last year’s three iPhones, was set to provide the 5G modems for Apple’s 2020 phones. 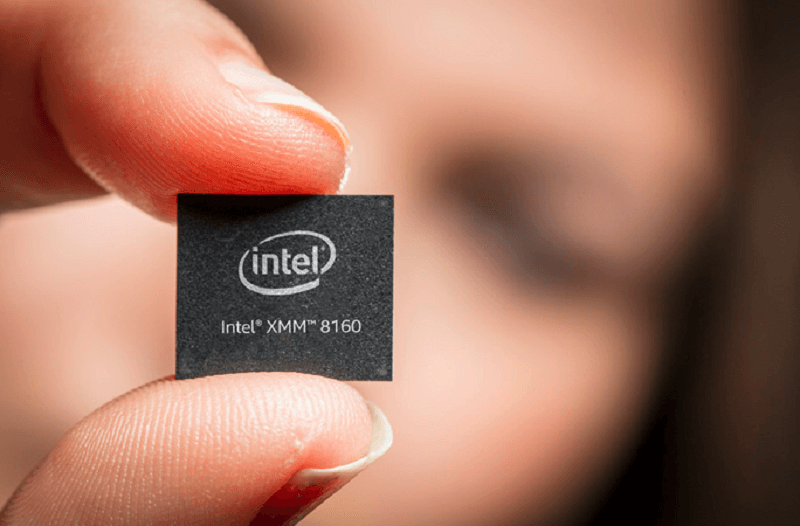 Chipzilla said it expected the XMM 8160 to launch in the second half of this year, but sources say Apple has “lost confidence” in Intel's ability to deliver them on time. For the first 5G iPhone to launch in September next year, Intel must deliver sample parts to Apple by this summer and hand over a finished design in early 2020, but delays in development are making those deadlines appear less feasible. It sounds as if Intel could be regretting its deal with Apple. The job of managing the relationship with the Cupertino firm has already seen at least three project managers come and go, and it's believed Intel is getting little profit out of the agreement. Additionally, Apple demands that its needs are put ahead of other Intel customers. Does Apple regret its legal woes with Qualcomm? Most Android manufacturers rely on Qualcomm’s modem chips, but Intel was the sole supplier for last year’s iPhones—a result of the two tech giant’s ongoing legal battles. It means that as rival Android phones arrive with 5G modems, such as Qualcomm’s X50, Apple will be waiting for Intel to catch up. Apple has reportedly tried to secure 5G modems from Samsung and MediaTek, but neither firm is likely to have chips ready in time for next year’s iPhone launch date. Rather than go back to Qualcomm, a solution could come in the form of modems designed in-house by Apple. It reportedly has between 1000 and 1200 engineers working on the chips for future iPhones and has recruited RF engineers from both Intel and Qualcomm to work in a new San Diego development facility. According to analysts, 20 million 5G-compatible phones will be sold next year. By 2023, that number is expected to have risen to 930 million, representing almost half of all phone sales.